Superb quality solid sycamore tealight holder with either pointed ends or rounded ends. 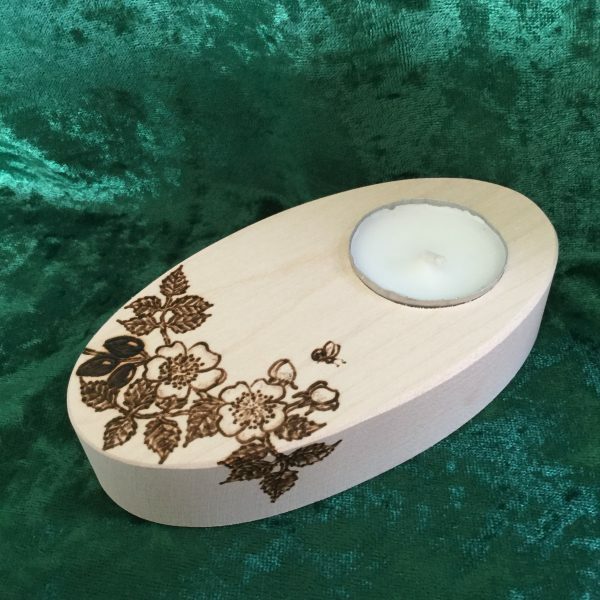 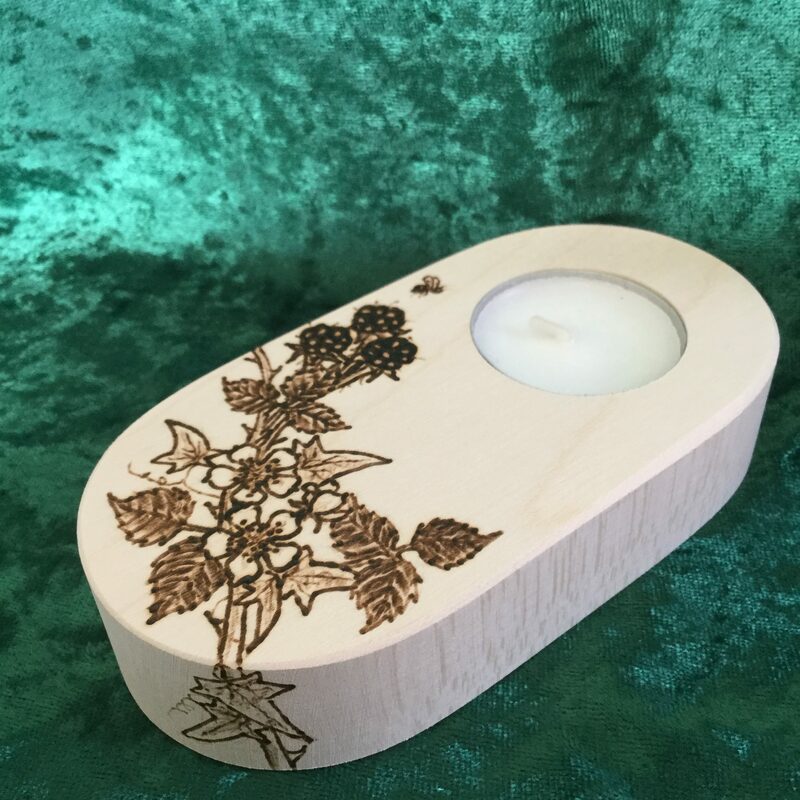 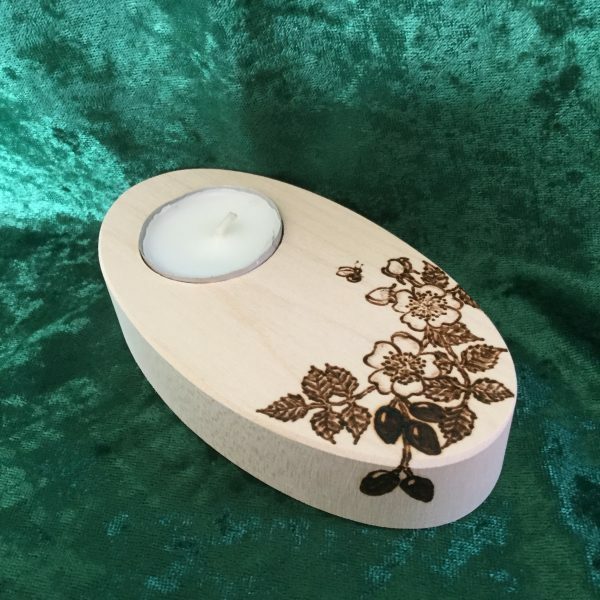 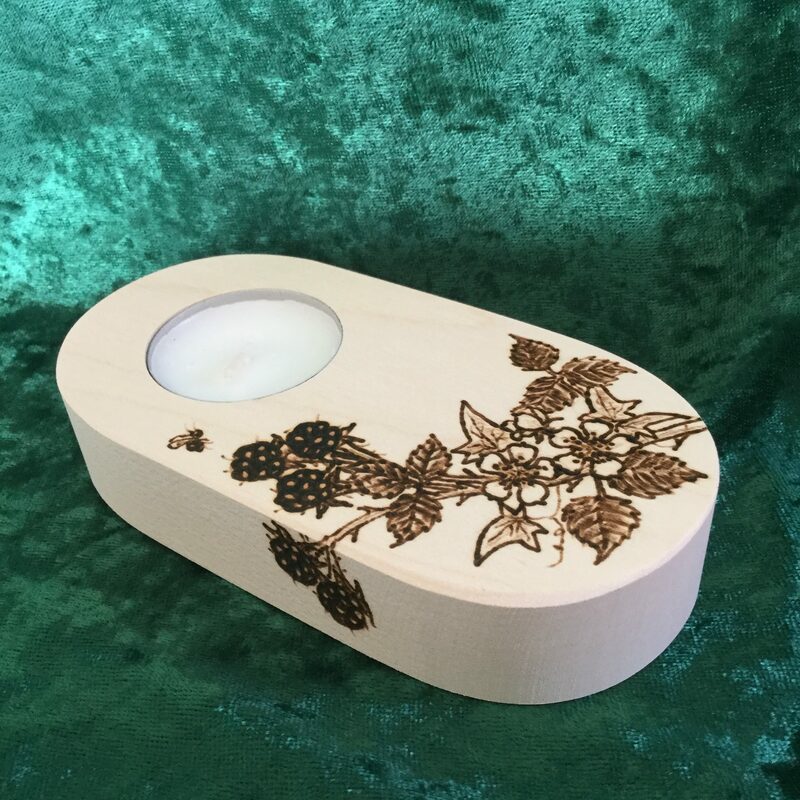 Beautifully finished with a sealant, each holder has a freehand design burnt into the wood using pyrography. 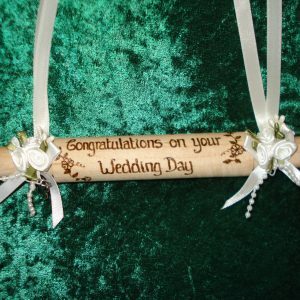 Designs at present are blackberries or rosehips as the design lends itself to draping around the holder. 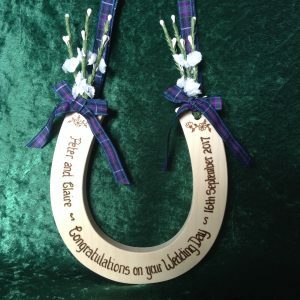 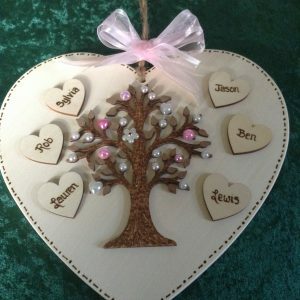 A name or date could be added as these would make a wonderful memorial to light when remembering a loved one.